The LCIC-WIM is a high speed, intelligent load cell interface card with USB/RS-232/RS-485 interfaces. Besides its basic mode, the board includes an integral Fill Mode supplying an independent filling control. The board is intelligent and powerful enough for OEM customers—it is ready to accept piggy-back modules and/or embedded applications for OEM special requirements. The LCIC-WIM-BEN is useful in applications such as analyzing noise and vibration in a belt conveyor or any dynamic weighing system, for example the time it takes for stabilization after a load was applied. Other potential applications include checking scale behavior for slow/high speed WIM (weighing in motion) applications, measuring maximum (peak) and minimum forces on a scale/testing machine (helps to select the suitable load cell for optimum performance), and running tests and getting immediate final weight results on WIM and check weighers. Three software utilities are supplied with the board: LCIC-WIM-CALIBRATION, LCIC-WIM-SETTINGS and LCIC-WIM-MONITOR. These software utilities enable easy selection and setup of the required board. The calibration utility (LCIC-WIM-CALIBRATION) enables you to calibrate the LCIC-WIM-BEN board by adjusting it to your own system. The utility is straight forward and is in the form of a Windows® wizard. The LCIC-WIM-SETTINGS utility gives control to card’s filters, analog output, fill mode parameters and more. The LCIC-WIM-MONITOR utility is a vital tool for analyzing dynamic load/force systems. 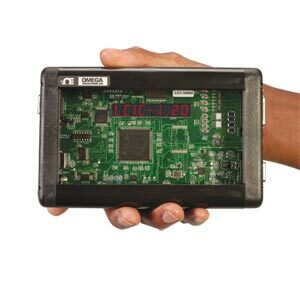 It takes full advantage of the board’s speed and samples the load cell signal at maximum speed (15,000 samples per second), sending the data to the PC via the USB port and displaying it as a curve—load cell signal/versus time. You can then zoom in/out on the data, view max (peak) and min readings, save the data in standard ASCII file format for later use and even perform some calculations like averaging on a required part of the curve. 참고: Comes with complete operator’s manual, Windows and utility software on CD-ROM, 110/220 Vac adaptor, and USB cable.